We are dedicated to providing a stellar after-sales service for all of our clients with our team of professionals available to maintain and repair any faults that may arise with your suspended ceiling or false ceiling installation. As with any installation, we recommend to alert us at the first sign of an issue with your ceiling as postponing could risk the health and safety of your employees and customers. The world of business never stays still and you will find your needs may change over time. Nobody understands this more than Suspended Ceilings Manchester who are able to adapt your existing installation to cater for any work that may have been done, such as an air-con replacement or lighting system fitted, that leaves the current installation inadequate. 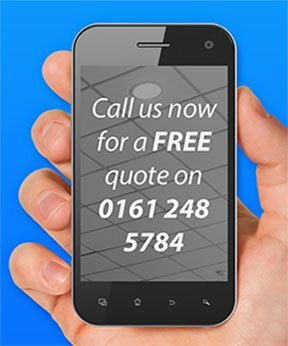 Should you discover any issues with your false ceiling, be sure to call our friendly customer service team at Suspended Ceilings Manchester. We can arrange for our engineers to visit your site and assess the problem before undertaking the necessary maintenance and repairs required. Contact us today on 0161 248 57 84 or send an email to info@suspendedceilingsmanchester.com. Alternatively, you can use our contact form.